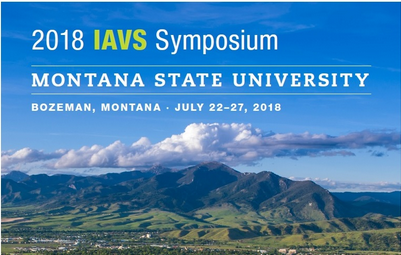 The 2018 IAVS 61st Annual Symposium will be held July 22-27, 2018 at Montana State University in Bozeman, Montana, USA. Bozeman is located in the Greater Yellowstone Area close to the Crown of the Continent of the northern Rocky Mountains. The timing of the symposium is optimal to see the subalpine and alpine flora in flower and will also allow participants to attend the 103rd Annual Conference of the Ecological Society of America, which is August 5-10 in New Orleans, Louisiana if they wish.